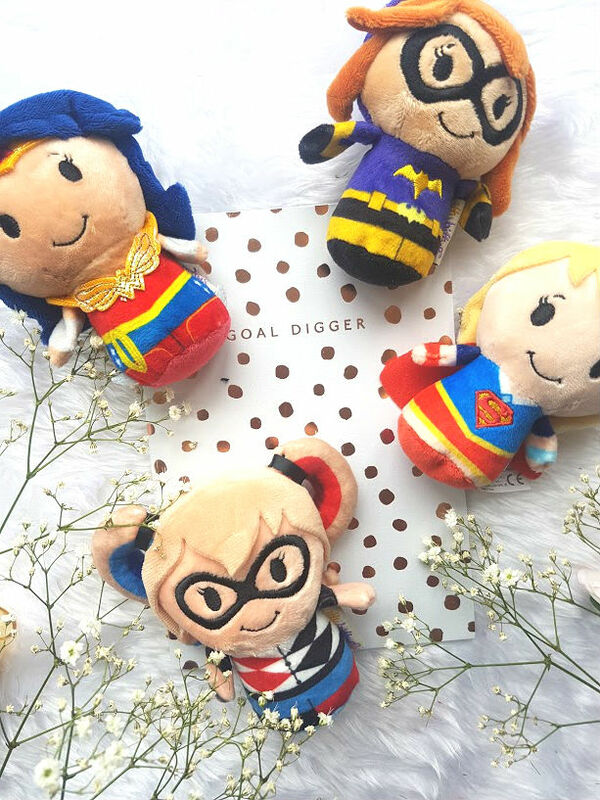 Hallmark have recently launched some new additions to their Itty Bittys range that includes these cute super hero girls, the range includes Harley Quinn™, Batgirl™, Wonder Woman™ & Supergirl™. These cute little super heroes are the perfect addition to my desk,they live right in front of me and make me smile every time I see them. They not only look adorable but make me feel like a super hero at heart. I've gone through a slight blogging 'funk' recently, I have all these ideas in my head but nothing seems to be coming out online. Using these as inspiration I am talking what makes me super, because why not - we all are! I think the one thing that makes me super is that I have this blog, it is something that is pretty different to what other people my age do and it is pretty great. It has given me so many opportunities and chances to learn new things, not to mention interact with other people. I love talking to other bloggers online and reading blogs, it is such a wonderful community (when there isn't any drama) and I hope to keep it going for as long as I can. It also take a lot of hard work, there is so much thought put into each post and collaboration, making sure it fits with you and the brand you have created. Can we also mention the time and effort it takes to take photographs?! You take so many shots and only end up using a select few - after all the joint pain and lighting problems. The teaching career that I want to go into in the future, makes me feel pretty super too. The idea of guiding and supporting the younger generations through their school life is such an amazing thing, I love seeing their little faces light up when they overcome a stumble or learn something new - it really is the best feeling. I've just finished my second year and only have one left, so this time next year I should, hopefully, have graduated and have a job for the new school year. Even though it is all pretty scary, it is so exciting and crazy! As far as my skills go that make me super, I am very positive. I think about everything in a positive light and always know that there is a solution out there that doesn't involve giving up or being negative. I am also someone that is a great listener, if you ever need a good cry or rant then I am your go to girl. I can offer advice or just listen and sit back, because sometimes that is all you need. I would love to know what makes you feel super? Is it your blog, career, or personality?